Stokesby parish lies in eastern Norfolk, a riverside parish on the River Bure to the east of Acle and north of the A47 Norwich to Great Yarmouth road. The parish is made up of grazing marshes, reedbeds and a little agricultural land forming the southern edge of the former island of Flegg. In the days of this transcript this was an isolated area with communication largely by boats along the rivers. 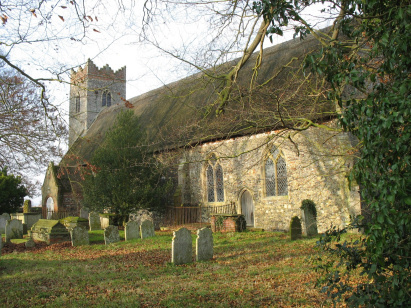 The mediaeval parish of Herringby was long ago assimilated into Stokesby - there being no separate records. 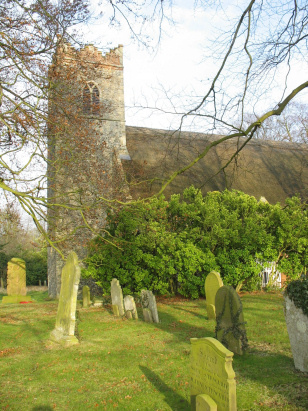 St Andrews church has features which give it a quite old date for a Norfolk church with some parts 12th Century and Norman in features. Much of the fabric of the church, however, dates from the Victorian make-over in 1856 - 1858. In its shady little graveyard it is a very peaceful and pleasant scene - the focus of a community for centuries. These records were transcribed from Microfiche 4 & 5 in the collection of the Norfolk Record Office. This filming is quite elderly and the quality of image is poor by contemporary standards. In places the image was so faint that reference had to be made to the Bishop's Transcript to obtain a legible image. Despite this drawback and perhaps a tribute to the preservation of the originals the majority of the transcript was straight-forward to read. It is to be hoped that few errors will have crept into the compilation of this transcript.